You finally have the time off from work to visit the number one place on your travel list: Las Vegas, Nevada. 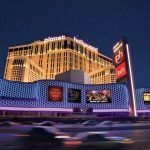 The excitement of the gleaming Strip, gambling, and plenty of adult-centric entertainment has you counting down the days until your flight departs. The only thing is, you don’t want to stick out like a sore thumb. Since it’s your first visit to Sin City, you want to be treated (and act) like a local, not a tourist. Researching certain laws and customs only hinders the experience. That’s why we took care of all the hard work for you! 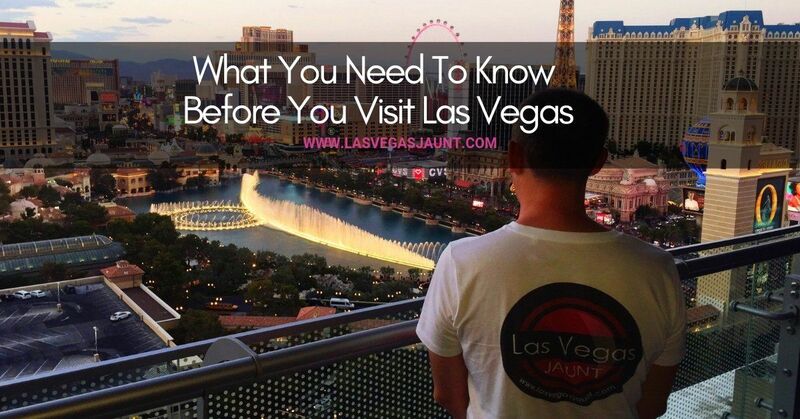 Without further ado, here’s a rundown of everything to know before you visit Las Vegas. All that excitement probably has you wanting to start the party early. However, it’s wise if you don’t drink on the plane. Why? Because once you arrive, you’ll be halfway buzzed. You’ll end up spending the rest of your day or night passed out. Then the next morning, you’re too hungover to go anywhere or do anything. Las Vegas isn’t like New York where you can wave down cabs. Actually, it’s illegal for them to stop and pick up fares on the Strip. You’ll need to get one from a cab stand. Which of most are located at the entrances of casinos. One main reason people often come to Sin City is to gamble. But the fun ends real quickly once your wallet runs empty. In order to stay afloat to enjoy other luxuries, set a gambling budget. This should be an amount you’re prepared to lose. From there, it’s up to you to stick with it. Knowing when to walk way will help you keep more of your money in the long run. A lot of the time, places on the Strip have some kind of dress code. This could be anything from business casual to upscale attire. When you pack your suitcase, keep in mind the season and what kind of nightclubs and restaurants you want to go to. Most of them will have their dress code posted on their website. The best transportation around the Las Vegas Strip is on foot. You get to experience all the sights, sounds, and smells that come with exploring by walking. That said, make sure you wear comfortable shoes. High heels (or any shoe with a heel for that matter) will result in your trip being cut short because of pain. Sneakers with thick soles and cushy insides will get you to where you’re going. With all that walking and alcohol beverages you’ve consumed, it’s important to stay hydrated. Keep plenty of water on hand, especially if you’re visiting during the summer, where temperatures go well passed 100 degrees. If you’re at the bar or restaurant, make sure to sip on water and eat snacks in between cocktails. This will prevent you from getting buzzed too quickly. We’re pretty sure gambling is high on your list of things to do. However, there are a couple of things you need to know when you sit at a table. First, be sure to tip them. Just as you tip the cocktail waitress, the game dealer should get their fair share too. When handling cards, be careful not to bend them. You wouldn’t want someone being reckless with your possessions, right? Last but not least, don’t use your phone at the table. Be fully immersed in the game, not fixated on your texts and notifications. It’s only polite and respectful not only to the dealer but other players as well. While we’re living in an almost cashless society, you’ll still want to carry around some singles and 5’s just in case. Cash can be used to tip cocktail waitresses and casino dealers, along with restaurant servers and valet. Aside from tips, you can also use cash for cover charges. Most nightclubs require one in order to get in so it’s best to carry cash so you’re not left at the door. You don’t want to upset the dealer and other players by being that person who asks questions constantly. To avoid embarrassing yourself (and possibly getting kicked from the tables), give yourself a crash course on common table games like Blackjack and Craps. This way, you’ll be able to focus on getting the most money instead of trying to learn how to play on the fly. 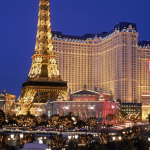 The holidays and trade shows are the busiest times of the year for Sin City. If you can avoid visiting during these times, do so. Looking at the Las Vegas Convention Calendar will help find the most busy weeks to avoid. If not, you’ll be looking at high prices for just about everything—airfaire, rooms, even some restaurants. 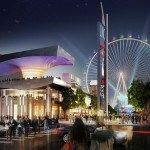 Along with high prices, expect the casinos to be packed as well. Even the more budget-friendly ones will be crowded. Can’t help but visit during these events? Try to book your hotel as early in advance as possible to avoid skyrocketing fees and charges. 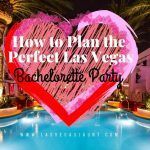 Coming to Vegas on a budget? To save as much as you can, be aware of resort and parking fees. 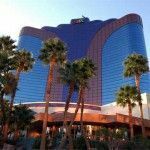 Resort fees are associated with most Las Vegas hotels nowadays. You need to educate yourself with how much a resort fee is at which hotel because they all vary. Not only that but this fee is due at the end of your stay, not when you book your hotel. You definitely don’t want to get blindsided when you go to check out and you’re wondering why you owe a highly-priced fee. Unfortunately, the fees don’t stop there. In order to park anywhere on the Strip, it’ll come with a price. Parking garages often charge by the amount of time you stay at a casino. The longer you stay, the more you end up paying. Even parking in an outside parking lot will end up costing some kind of fee as well. Las Vegas is a city full of excitement. However, you can easily end up looking like a tourist if not prepared. 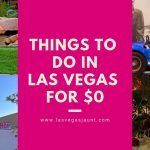 As long as you stick to the tips on this list, you’ll be ready to conquer all that Sin City might throw at you. Want more travel tips? Check out the rest of the blog!